This rumor report comes from our buddies at Jedi News. According to the report, Hasbro is planning to release six boxed sets to coincide with the digital release of the first six Star Wars films in May. You might remember Hasbro doing a similar release with the Blu-ray sets in 2011. Unfortunately, Jedi News reports that the figures look to be previously released Saga Legends figures with 5 points of articulation. Hasbro did a similar thing with the Commemorative Blu-ray boxed sets and I have to say that those didn’t excite me. The packaging was probably the most interesting thing. The packaging again seems to be the only novel step here as the left panels of the boxed sets will match up to form a new collective illustration of the Star Wars Saga. That has the potential to be a cool new piece of art. Please note that the image below seems to be a place holder. It’s interesting that the Death Star Duel would be priced so high. It makes me think there must be a substantial throne room build involved. 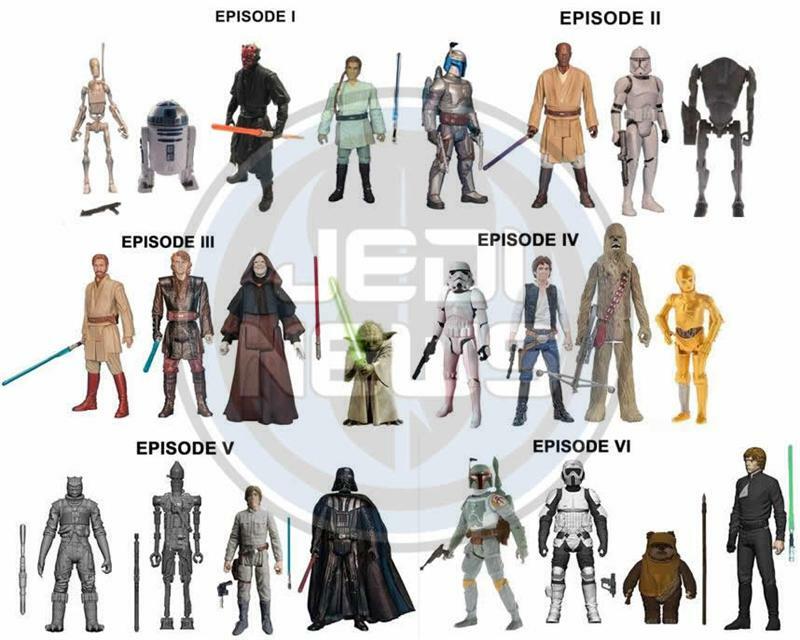 I’m also happy to see the range of price options for the Episode VII sets. According to Jedi News, two of the Episode VII sets will be the Millennium Falcon and an X-Wing. The current Lego X-Wing is priced at about $60 and the Falcon, though several years old, started at $140. So we can probably guess which of the listed sets correspond with each. Finally Jedi News reports that Star Wars The Force Awakens merchandise has a street date of September 4, 2015. So start saving now (Who are we kidding? We know all our money will be blown at Celebration Anaheim in April)!